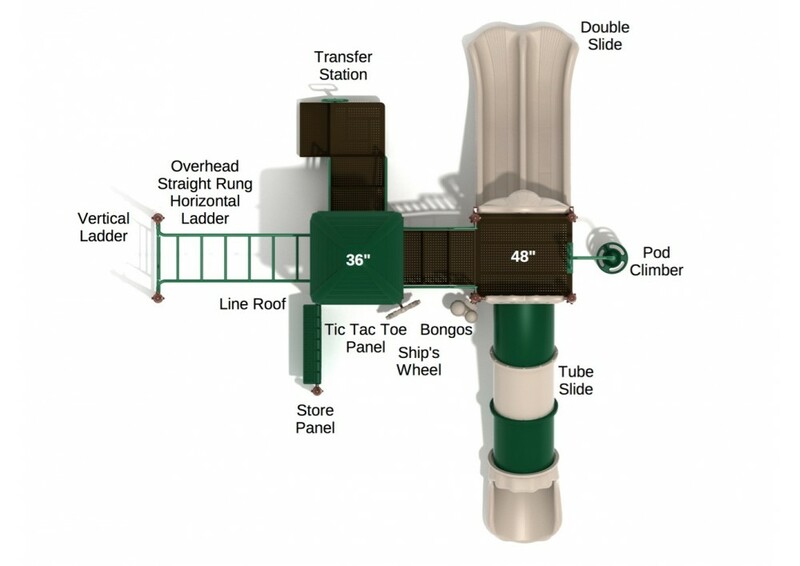 The Tidewater Club Play System includes a house roof, stairs, double wide wave slide, tunnel slide, overhead horizontal ladder, number panel, storefront panel, drum panel, transfer station, and disk climber. 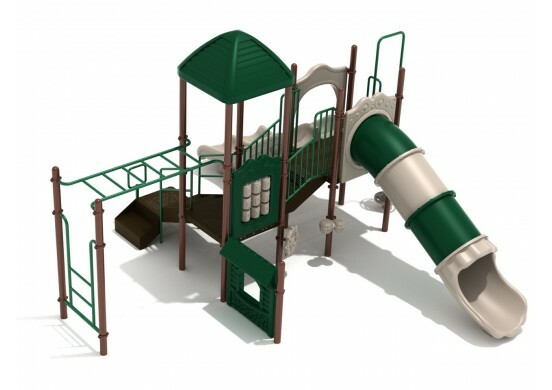 The incredible value of this play system comes from the 3.5 inch galvanized steel posts and heavy duty rotationally molded plastics. The decks start out at 36 inches and rise to 48 inches high. The structure is available as pictured in park colors. This Play System has all the basics of a great play system without the high costs. 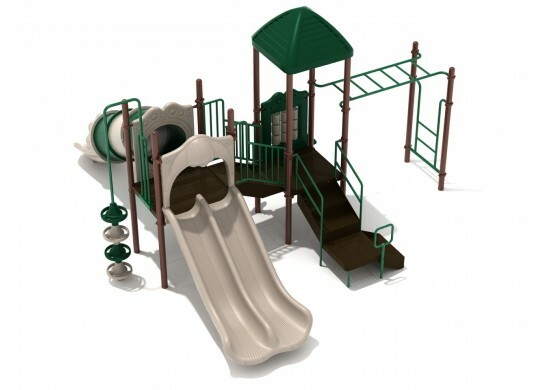 The Play System has a challenge ladder, double wave slide, tube slide, and a number panel to keep the kids learning during play. The elements of the Tidewater Club come together to make for an enjoyable experience for the kids. The 3.5-inch upright posts are designed for mounting in-ground. Kids will enjoy everything the Lake Powell structure has to offer. The high quality materials, low price, and easy assembly will persuade adults.